PENTAS FLORA is a Scheduled Waste Management company under the wings of Exsim Group of Companies, one of the nation’s increasingly prominent property developer. As an innovative Scheduled Waste Management company, PENTAS FLORA started off with the passion and persistency of molding a better environmental solution mechanism which would maximise resource value and minimise environmental impacts. With the constant rise of environmental issues due to impacts caused by hazardous waste, PENTAS FLORA begun operations to subdue these alarming and unhealthy effects by providing alternative solutions to manage waste. Its parent company, Exsim, champions a similar goal in all its development projects by ensuring sustainability efforts in delivering green features and environmentally- friendly buildings. 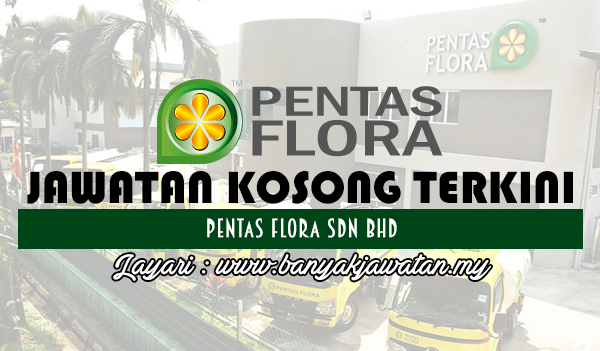 0 Response to "Jawatan Kosong di Pentas Flora Sdn Bhd - 3 September 2018"